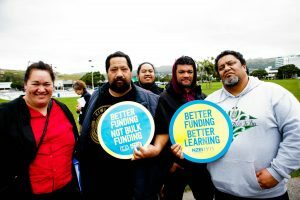 PPTA and NZEI joined together for a historic series of paid union meetings, in which we discussed what we would do about the threat of bulk funding. 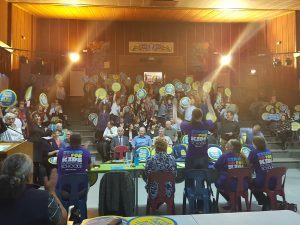 See meeting roundups here. 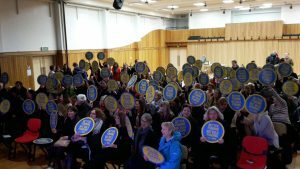 Hastings members out in force at Hastings Girls. 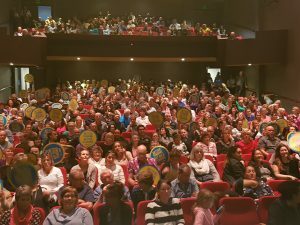 A packed house in Palmy. 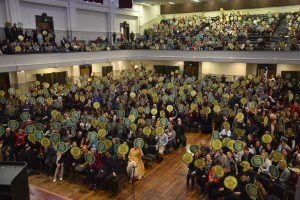 Over 1100 NZEI and PPTA memberes filled Te Rauparaha Arena in Porirua. 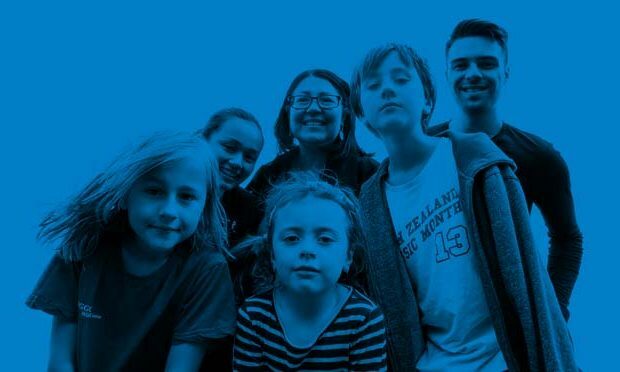 Tū mai Taranaki e! 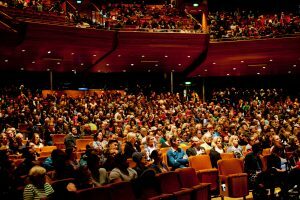 Almost standing room only at the New Plymouth PUM on September 12. 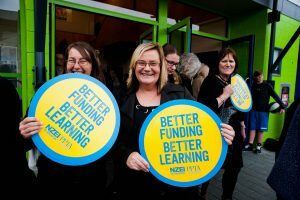 NZEI and PPTA members around Alexandra met at Dunstan High on 7 September. 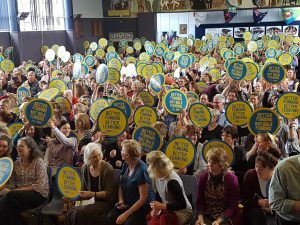 A full house on Auckland’s North Shore as more than 1000 educators united to put kids needs first. 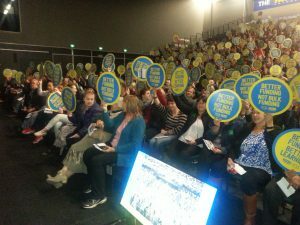 Over 2700 members of NZEI and PPTA cast their votes at the paid union meeting in Christchurch. Our smallest meeting so far was on Great Barrier Island, involving staff from Okiwi, Kaitoke and Mulberry Grove schools. 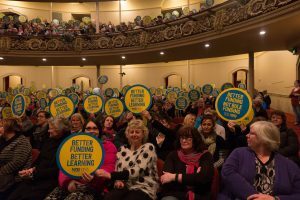 Over 1400 NZEI, PPTA and E tū members attended the first of our paid union meetings in Auckland, 5 September. See photos, videos, and reactions here.